Talking Games #119: What's The Best Horror Game? Earlier today the news was broken that there would be some additions and changes to the DCU. One of the biggest announcements, besides that of two new titles added to the New 52, would probably be that of Jeff Lemire taking over writing duties from Ann Nocenti on Green Arrow starting in February. Joining him on art would be Andrea Sorrentino, who has become renowned for his work on the critical darling I, Vampire. When Lemire was contacted by Dan DiDio, he wasn’t exactly sure how to take it, as he explained in an essay for MTV Geek. “Oliver Queen was never a character I’d had any particular affection for. 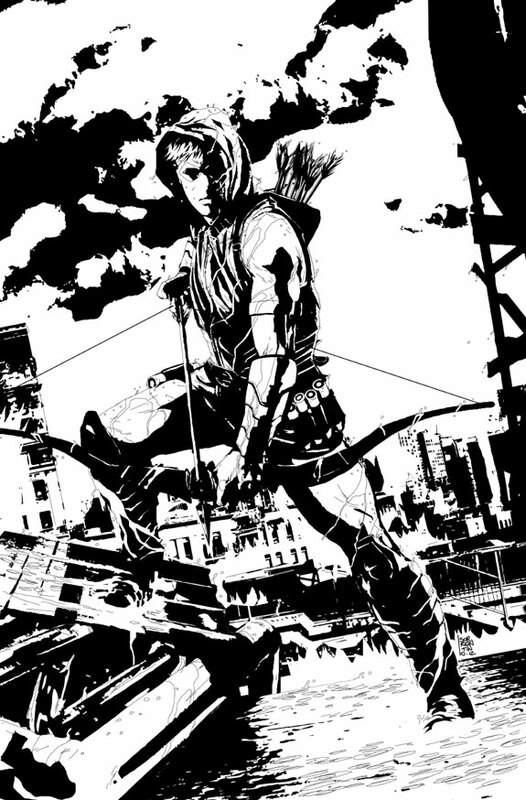 I love DC comics and love DC characters, but Green Arrow was never one of the guys I gravitated towards.” After thinking about it he came to the conclusion that he wanted to write Green Arrow and had a distinct plan in mind for the character. Jeff Lemire will be taking over for Green Lantern with issue #17 in February. Be sure to check it out if you get the opportunity.